No fuss. We do everything from set-up to clean-up! Please fill out the form below to contact The Art Studio NY. We will get back to you within 24 hours. • No fuss. We plan every part of your event! "In searching for a corporate team bonding experience, I was looking for something everyone could enjoy and learn from while still achieving our ‘teaming’ goal. The Art Studio NY far exceeded anything I had anticipated. This isn't a one-size fits all program. They care about what we're looking to achieve. Rebecca and her team are truly interested in understanding the goals of the individuals as well as the group as a whole. Each person walked away proud of what they had accomplished and having built a stronger team relationship. This is something I will definitely be doing again! "Thank you for sharing your expertise and for your patience and sensitivity. You exceeded our expectations in every way. I have not stopped drawing since we left your studio!" By the end of our time at the Art Studio NY, we had all fallen in love with the experience and as a result, our team is still raving about it! 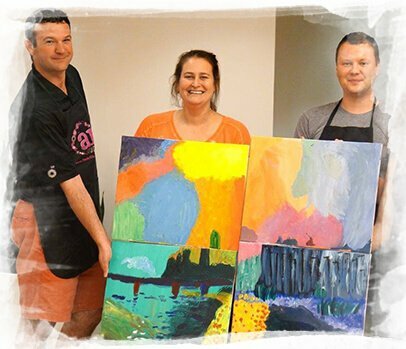 Your staff knew exactly how to make our time both unique as well as a fun learning experience, where we not only bonded as a team, but got the opportunity to create beautiful art while doing so!" A fantastic studio with amazing teachers. When you first walk into the studio you are immediately embraced with a warm and comfortable feeling that opens your mind up to the creative process. 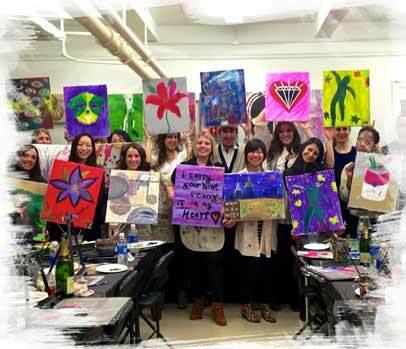 A few months back, my friends organized a paint and sip party for me at the Art Studio NY. Had a great time. Michelle, the events coordinator, was really great at making sure everyone was comfortable and taken care of. The party was a lot of fun, and I really appreciated the professionalism of the staff and art teacher. 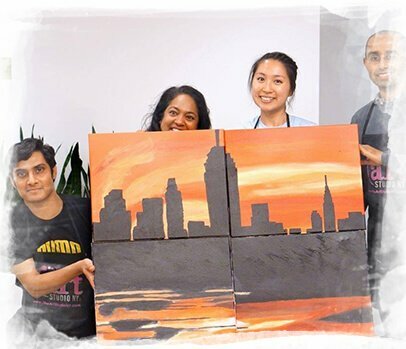 Sophia and Jessie did a phenomenal job leading our customized painting class for our real estate firm, and working with the team at The Art Studio NY was a breeze. Everyone who attended had a great experience, and we look forward to the next time! 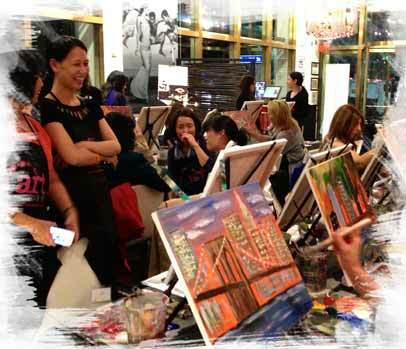 This the second team building event we have had with The Art Studio NY at our hedge fund. 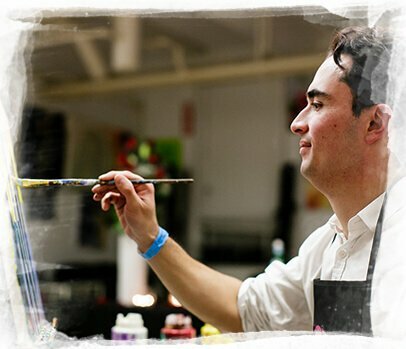 Our core executive staff consists of 40 people, and most of us don’t know how to paint or draw! Rebecca, Michelle and all of the instructors brought out the artist in all of us. They went above and beyond to understand our goals and create an outstanding experience. Their attention to detail in planning our event combined with their step by step art instruction impressed my entire team. Our paintings are hanging in our offices and we are all still talking about hoe memorable this experience was for us. I hosted my annual company party for my interior design firm here, and it was a huge success! We had SO much fun, we are all still talking about it weeks later! Rebecca was an energetic and inspiring instructor, and Michelle was a pleasure to work with in ironing out all of the details. Everything was perfectly organized and SO customized to exactly what I wanted. We are definitely coming back! Thank you for sharing your expertise and for your patience and sensitivity. You exceeded our expectations in every way. I have not stopped drawing since we left your studio! In searching for a corporate team bonding experience, I was looking for something everyone could enjoy and learn from while still achieving our ‘teaming’ goal. 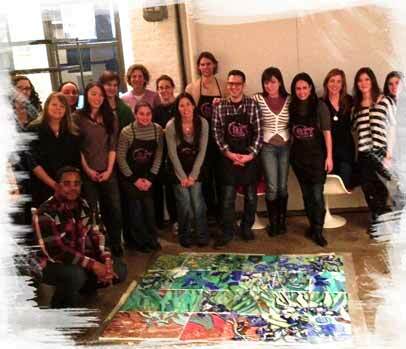 I recently organized a team building event at the Art Studio NY and it was nothing short of absolutely fantastic!!! Not only did the owner, Rebecca, take the time to organize every minute detail with me to create the PERFECT event tailored to our company and our teams' specific needs, but she made the process seem so fun and effortless! 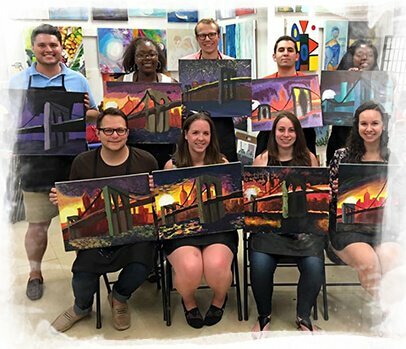 Though many members of our team were somewhat hesitant to take an art class in the beginning, by the end of our time at the Art Studio NY, we had all fallen in love with the experience and as a result, our team is still raving about it! It truly felt as though Rebecca and her amazing staff knew exactly how to make our time both unique as well as a fun learning experience, where we not only bonded as a team, but got the opportunity to create beautiful art while doing so! I believe I speak for the whole team when saying, Art Studio NY, THANK YOU for giving our company an amazing chance to not only learn something new about art, but also about ourselves! 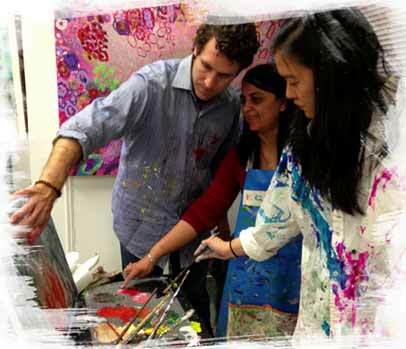 I held our annual corporate event at The Art Studio NY, and I was thoroughly impressed. The customer service was beyond my expectations, and their staff created one of the most unique, inspiring and fun group events I have ever attended. 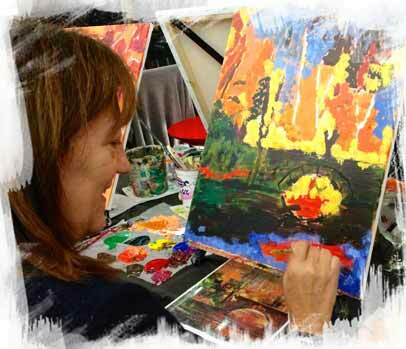 Highly recommend for art classes or private events for any level.